Takeaway: Compared with other industries, alcohol has been slower to enter eCommerce in a meaningful way. The three-tier system in the US makes the eCommerce landscape unique for alcohol . Leslie Danford, Senior National Account Manager of eCommerce at Beam Suntory, shared her perspective on the challenges and her company's approach to meeting consumer demands online. “Many people still believe eCommerce is ‘not possible’ for spirits as a result of these factors, but that’s just not the case! Both traditional players as well as new entrants are getting into the game to meet consumer demand. We at Beam Suntory are working with our existing channel partners to ensure we capture this mutually beneficial opportunity,” says Leslie Danford, Senior National Account Manager of eCommerce at Beam Suntory. Leslie leads the US eCommerce efforts for the company’s brands - including Jim Beam, Midori, and Canadian Club. In addition, Leslie coordinates best practices for ecommerce globally across the world’s third largest premium spirits company and shared her advice on growing alcohol brands online. 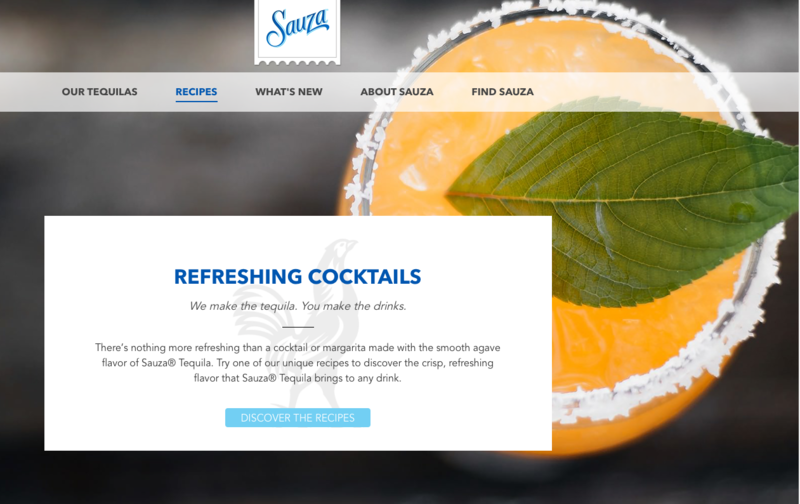 What’s the opportunity for alcohol brands looking at eCommerce? This is an exciting time for our industry! Although eCommerce is small today, it will grow. In fact, looking at precedent categories, eCommerce growth accelerates when it reaches a tipping point of about 3% - 6% penetration of total category sales. The alcohol industry needs to be prepared for when this channel becomes more meaningful. What's the importance of digital content to a successful eCommerce strategy? Content is king. It’s critical not only for online purchases, but also for consumers who shop in stores as well. Research shows 38% of US grocery shoppers do online research, regardless of where they make their final purchase. Consumers’ relationships with spirits brands are different from many other CPG category brands. The good news for alcohol is that many brands have rich family histories and specialized production processes, which is the kind of information consumers are eager to engage with. The key is getting this content in their hands. What’s your advice for other alcohol brands planning their product content? Nail the basics. First things first, make sure the basics are right (bottle shots, descriptions, key facts). Not having this information or having the wrong information can have a negative impact on the consumer experience and purchase. Tell your brand story. As consumers flock to authentic products and classic cocktails, they want to know about brand heritage. Inspire them with the background of what they’re drinking. Teach the consumer something. Consumers are often looking online to learn. Educate them on your product, whether it’s how to make a particular cocktail or the difference between bourbon and Japanese whisky. What's your take on the ecommerce space for alcohol brands? Beam Suntory is investing ahead of key eCommerce capabilities in anticipation of the growth of the channel, which has played out in other consumer goods categories previously. We are uniquely positioned to capitalize on growth of this channel while leveraging the learnings from other categories that have gone online before us. In recent years, we’ve been at the forefront of innovation across the spirits industry. With our eCommerce programming, we are excited to position ourselves for further growth.